I’ve lived in a range of 82c from -46c in Edmonton (without wind chill factor) to +38c… what is 1c to me? Nothing but a more pleasant day. So I don’t get it. 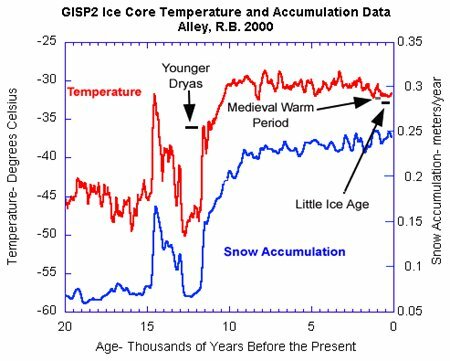 I do get that a new ice age would be classified as a bit of a major change in climate but that’s happened lots of times before and will happen again. So what is “climate change”? Do they actually think that there is some “normal” climate that is the “desired climate”? If so what is that? Why would they think that? I think it’s important that we PIN them down with specifics so that we can know what the heck they are actually talking about when they say “climate change” along with their doomsday scenarios. This entry was posted on May 10, 2011 at 9:39 am	and is filed under Adult Supervision Required, Climate Science, Complex Systems, Debunking Bad Environmentalism, Definition of Terms, Evil Walks the Earth and Carries a Big Stick, Get some perspective people, Holding those who run the world responsible for their crimes against humanity, Humbled by Nature, It's weather not climate, Philosophy, Politics, Rational Thinking, Reality Based Environmentalism, Science Education, Science over Propaganada, Science Smackdown, Terrorfying, The End is Nigh, The Stupid It Burns!! !, Yikes! The sky is NOT falling!, Zombie Environmentalists. You can follow any responses to this entry through the RSS 2.0 feed. You can leave a response, or trackback from your own site. I’m not an expert on climate change so I can’t give you a definite answer but you’re asking all the wrong questions. Getting hung up over one degree differences in temperature is hardly the point. Andrew Bolt loves to say how our weather is only getting colder each Summer but he entirely misses the point. Climate change is not necessarily a consistent warming of the earth’s atmosphere. When used in our modern context, it refers to a dangerous breakdown in the earth’s ecology and atmospheric conditions thanks to human activity such as over exploitation of resources, the forced extinction of species by the millions, as well as pollution, deforestation, overfishing etc. Really, what else could be expected to happen? How could anyone believe we can just take and take and take from this planet, destroy delicate ecosystems that evolution took billions of years to create, and NOT face any negative consequences? Animal extinction alone is predicted to force our own one day soon. Did you know we are now thought to be entering a sixth mass extinction – the fifth mass extinction of the world carried off the dinosaurs by the way. This is entirely thanks to human activities such as deforestation. This is now having disastrous consequences on thousands of ecosystems across the planet. Not only this, but the Amazon is almost entirely gone already. It is called the “lungs of the planet” for no small reason – it produces over 20% of our planet’s oxygen. No wonder the atmosphere is experiencing such dangerous shifts in oxygen and carbon dioxide. While, I’m sorry I don’t have the time to read all of this blog and I should, but I will ask you open your mind. You appear to be dangerously closed off by skepticism. You’re missing the point. Preserving the planet isn’t even the priority here. It will outlast us. But what we are doing to it is actually forcing our own extinction by draining life giving resources, poisoning the very air we breathe, killing animals we depend on for a balanced ecosystem. How can you honestly think that’s nothing to worry about? I like that you believe in questioning things. That’s great. But in this situation it seems far wiser to err on the side of caution. From a practical point of view we know that fossil fuels are running out. So, unless we transition our economy to renewable energy very very soon, we’re going to go to war over resources. I don’t think anyone would want that. It’s a pretty simple idea here. We exploit resources at such a rate that they now cannot replenish themselves in time. We have mass produced the very things we depend on for survival and in so doing we have over exploited them and now they are running out. We will die without them. You can’t eat money. And you can’t just plant a few more trees in the eleventh hour and hope for the best. We need to change our lifestyles now. We need to embrace a sustainable way of life. The precautionary principle which you are invoking is based upon false premises that are not supported by the actual temperature and co2 observations from Nature. Co2 does not drive Temperature in the Real Actual Atmosphere. As for fossil fuels running out, that is also a myth. The USA alone has enough coal to last 1,000 years at the current rate of consumption. Coal can be converted to gasoline and diesel fuels, so even if we run out of crude oil we have an abundant supply of coal. Personally I prefer Modern Advanced Recycling Nuclear as the best base load power as with this newer technology we can recycle the so called waste which is actually non-spent fuel up to ten times. This means we have about 30,000 years supply of fuel. More when considering other radioactive useful elements. Furthermore by recycling the existing fuel stores (aka waste) at existing plants we can by the process of fission reduce the time period that they are toxic from ~100,000 years down to ~300 years; now that is the wise move for global environmental stewardship as it much easier to store that stuff safely for a mere 300 years than the longer term. Unfortunately the new so called “green” technologies have not yet become viable even with the massive subsidies they receive. Solar, Wind, Hydrothermal, Bio-Fuels will remain a tiny single digit component of the energy sector for some time to come. The technology is just not ready yet. I’ve been liking solar since the 1970’s and it’s just not there yet, maybe soon but not yet. I’d put in it a home if I’m out of a major city but the climate in British Columbia isn’t the best place for solar. Too many clouds. Hydro is a huge win but that requires smaller projects now and a positive government energy policy (which BC doesn’t have unfortunately) so that smaller energy producers can make a viable business out of it. BC is building another massive hydro project so has blocked the smaller ones which is too bad. It’s much more complex thank you realize.